- Director of the Forensic Genetics Laboratory in the University of Rome “Tor Vergata”. 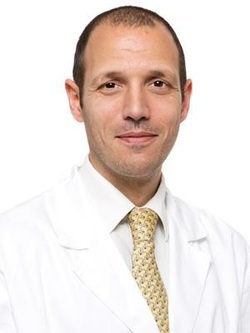 - Director of the Genomic Medicine Laboratory of UILDM in Santa Lucia Foundation in Rome. - Permanent Member of the group interdisciplinary for the Italian National DNA Database. - Lecturer of “Biology and Human Evolution” at the University of Rome “Tor Vergata”. Biomedicine” PhD in the University of Rome “Tor Vergata”. multifactorial complex Diseases” in the University of Rome “Tor Vergata”. - Participation to the International Consortium for the study of Genetic Susceptibility to Psoriasis. PSORS1 and PSORS4 regions and other genes involved in psoriasis pathogenesis”. in health-care and forensic fields. develop projects in the field of forensic genetics. computational prediction of the impact of genetic variants on the protein folding. in the field of medical genetics (2009). Direct PCR: a new pharmacogenetic approach for the inexpensive testing of HLA-B*57:01, Cascella R, Strafella C, Ragazzo M, Zampatti S, Borgiani P, Gambardella S, Pirazzoli A, Novelli G, Giardina E, Pharmacogenomics J, 2015, 15(2):196-200. ​Haplotypes in IL-8 Gene Are Associated to Age-Related Macular Degeneration: A Case-Control Study, Ricci F, Staurenghi G, Lepre T, Missiroli F, Zampatti S, Cascella R, Borgiani P, Marsella LT, Eandi CM, Cusumano A, Novelli G, Giardina E, PLoS One, 2013, 8(6):e66978. Variants in RUNX3 contribute to susceptibility to psoriatic arthritis, exhibiting further common ground with ankylosing spondylitis, Apel M, Uebe S, Bowes J, Giardina E, Korendowych E, Juneblad K, Pasutto F, Ekici AB, McManus R, Ho P, Bruce IN, Ryan AW, Behrens F, Böhm B, Traupe H, Lohmann J, Gieger C, Wichmann HE, Padyukov L, Fitzgerald O, Alenius GM, McHugh NJ, Novelli G, Burkhardt H, Barton A, Reis A, Hüffmeier U, Arthritis Rheum., 2013, 65(5):1224-31. Tsoi LC, Spain SL, Knight J, Ellinghaus E, Stuart PE, Capon F, Ding J, Li Y, Tejasvi T, Gudjonsson JE, Kang HM, Allen MH, McManus R, Novelli G, Samuelsson L,Schalkwijk J, Ståhle M, Burden AD, Smith CH, Cork MJ, Identification of 15 new psoriasis susceptibility loci highlights the role of innate immunity, Estivill X, Bowcock AM,Krueger GG, Weger W, Worthington J, Tazi-Ahnini R, Nestle FO, Hayday A, Hoffmann P, Winkelmann J, Wijmenga C, Langford C, Edkins S, Andrews R, Blackburn H, Strange A, Band G, Pearson RD, Vukcevic D, Spencer CC, Deloukas P, Mrowietz U, Schreiber S, Weidinger S, Koks S, Kingo K, Esko T, Metspalu A, Lim HW, Voorhees JJ, Weichenthal M, Wichmann HE, Chandran V, Rosen CF, Rahman P, Gladman DD, Griffiths CE, Reis A, Kere J; Collaborative Association Study of Psoriasis (CASP); Genetic Analysis of Psoriasis Consortium; Psoriasis Association Genetics Extension, Wellcome Trust Case Control Consortium 2, Nair RP, Franke A, Barker JN, Abecasis GR, Elder JT, Trembath RC., Nat Genet., 2012, 44(12):1341-8. Association of KIF3A, but not OVOL1 and ACTL9, with atopic eczema in Italian patients, Lepre T, Cascella R, Ragazzo M, Galli E, Novelli G, Giardina E, Br J Dermatol., 2013, 168(5):1106-8.